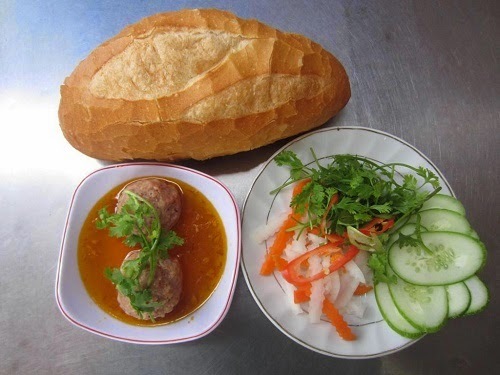 Banh mi Vietnam (Vietnamese Traditional Bread) is really popular in Vietnam, it also has another name "Saigon baguette or Fried pork bread". 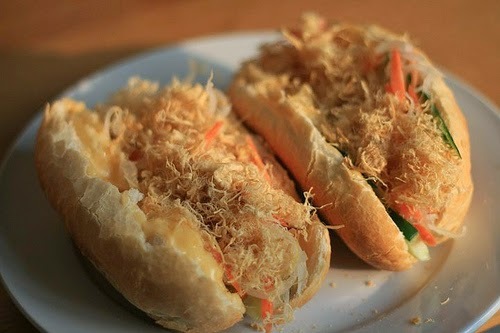 This is also traditional Vietnamese food. Bread is made with wheat and rice flour. This can be seen as a combination of sandwich and baguette. Thinly sliced carrots, pickles, cucumbers, liver pâté, mayonnaise and various meats are put into bread and covered by a little soy or fish sauce. 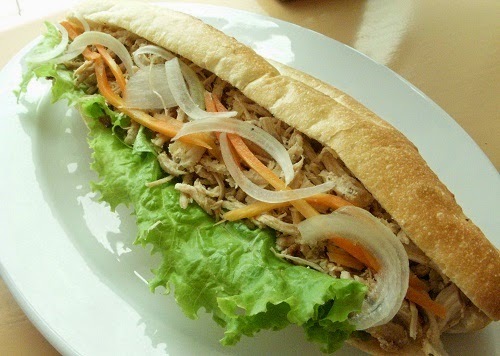 That’s why this baguette plays an important role in Vietnamese life- particularly with officers and people in a busy city. 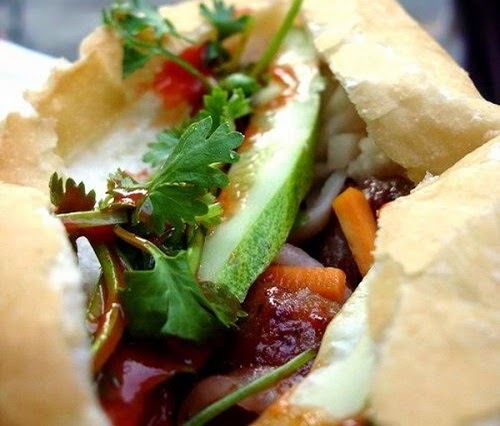 Any time, they can eat Banh Mi Vietnam (Vietnamese Traditional Bread) which is called Traditional Vietnamese food: breakfast, lunch or dinner; when walking, doing something and don’t feel bored because there are many flavors to change.